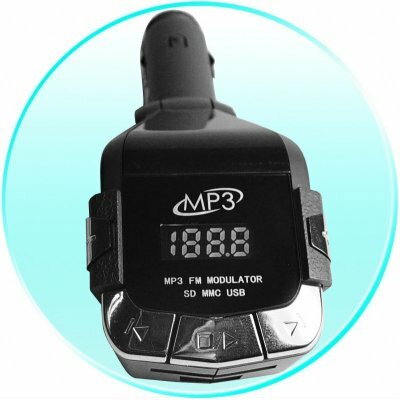 Successfully Added MP3 FM Transmitter For Car Use - SD Card Slot to your Shopping Cart. Chinavasion Car MP3 Player with a built in FM Transmitter with a frequency range of 87MHz to 107MHz, and a built in SD Card Slot taking up to a 2GB SD Card. This wholesale priced item does not come with internal flash memory meaning that the price of this Car FM Modulator is extremely low. Simply put your MP3 or WMA music onto a SD card, insert it into the SD Card Slot, tune the FM Modulator to the desired frequency, and it will be picked up by a FM Tuner on the same frequency within 5~10 feet. A nice low priced option for having great sound for your Digital Music, and available direct from Chinavasion Wholesale Electronics online store..